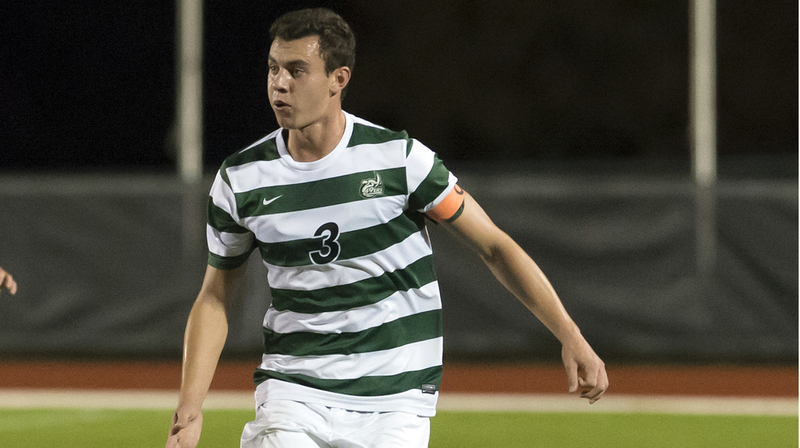 Charlotte, N.C. - Victoria Highlanders Captain and Charlotte 49ers men's soccer All-American defender Callum Montgomery has been invited to the 2019 adidas MLS Player Combine. Montgomery is one of 60 college soccer players invited to the Combine, which will take place from January 3-9 at Orlando City Stadium in Orlando, Fla. Players invited to the Combine will have an opportunity to play scrimmages for scouts of all MLS teams, as well as go through various tests and speak to interested teams ahead of the SuperDraft, which will be on January 11 at the McCormick Place Convention Center in Chicago. Last week, Montgomery was named first-team United Soccer Coaches Association All-American. He also was named CoSIDA Academic All-American for the third time in his career last week. This past season, Montgomery, who recently was named first-team United Soccer Coaches Association All-Southeast Region, earned Conference USA Defensive Player of the Year honors. He earned first-team All-Conference USA honors as well as being named to the Conference USA All-Tournament team. Montgomery was also a semifinalist for the MAC Hermann Trophy, which is awarded to the top player collegiate soccer player.